Published on 5 April 2011. 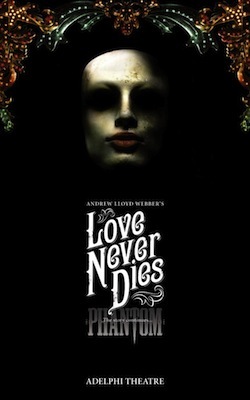 I really, really like Love Never Dies. I saw the original production and loved it, and saw the revised version and loved it still more. Well, maybe not more, but at least equally, and I appreciated that the changes were necessary for those less familiar with the backstory. ALW is on the media circuit down-under at the moment due to the Antipodean opening of the aforementioned musical. In a recent interview (that I now can’t find), there was some tangential comparison between Love Never Dies and Jesus Christ Superstar, including the assertion that the latter was never intended as as a stage show, but merely a concept album. 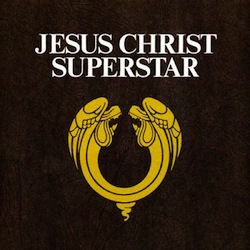 Jesus Christ Superstar is something that I probably grew up with, and never really understood. So I dug it out on Spotify for a re-listen, and ultimately found that it bore several re-listens over several days. I actually found that I really quite liked it, but there was something missing. It was the search for the thing that was not-quite-right that lead to me listening to the album more times over than is probably healthy, frequently on may way into or home from work. The album seemed to have everything: love, lust, jeopardy, moral complexity, and, of course, great music. But something didn’t “hang” right. The last time I had this feeling was over the wildly successful Wicked. I eventually realised that the missing ingredient here was moral complexity: the story is fairytale simple, with “good” and “evil”. This removes the intrinsic interest of moral complexity, and any sense of jeopardy, since the moralistic absolutes mean that the outcome is clearly predetermined. Moral absolutism meant that Wicked‘s outcome is predetermined. In itself, that’s not a problem that affects Jesus Christ Superstar. The morality is absolutist, but not out-and-out so. Jesus is not always immediately perfect in the musical – he gets angry, shouts, and is generally portrayed as having a human temperament, even if the backstory makes clear that ultimately he was on the side of the angels. So to speak. 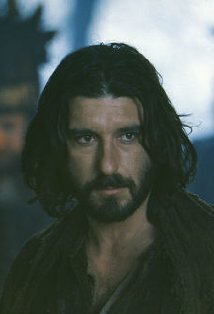 The problem with Jesus Christ Superstar is Judas: his character’s storyline is never completed, which makes the whole musical unbalanced. In the musical, it is predetermined that Judas will betray Jesus. Judas duly betrays Jesus, Jesus gets cross and berates Judas who hangs himself, Judas’s ghost gives his reasons for his betrayal (whilst simultaneously knowing that it was predetermined and not really his fault), and Jesus promptly dies. There’s no forgiving of Judas. There’s no relief for Judas from his wracked guilt. He’s left at the low-point of his story-arc, despite the musical constantly reminding us that Jesus, and by extension God, are forgiving. There’s no resolution. This seemed a really odd choice. A couple of lines in the penultimate song (“Crucifixion”) with Jesus asking God to forgive Judas would fix it – yet he merely asks God to forgive everyone else. Obviously, Judas being stopped from hanging himself would be all the better, but hey-ho. So why does the musical leave this story, ahem, hanging? Well, it turns out that it’s based on the Biblical story. As a non-believer, I’m not sure if it’s right for me to write posts poking holes in Christian theology, but I see no problem with pointing out holes in the plot of the book. It is make explicit that Judas had no choice but to betray Jesus. It was prophesied that he would do so, hence his fate was effectively pre-determined. Luke says that he was possessed by Satan at the time, which adds yet more weight to the argument (Luke 22:3). Given that Judas effectively had no say in the matter, it seem logical that his actions should be forgiven. Judas even confesses his sins (Matthew 27:4). Jesus has previously said that he would view anyone who did God’s will as his blood relative (Matthew 12:50). Punishment for actions over which there was no choice, and fulfilled God’s predetermined plan, and for which Judas has asked forgiveness, seems sadistic and vengeful. Because of that, what happened to Judas after the betrayal becomes really important. A forgiving Jesus who “turns the other cheek” should absolve Judas, and all should live happily ever after. Yet, bizarrely, the Bible is really unclear on what happened afterwards. Matthew says he committed suicide (Matthew 27:9-10). This doesn’t seem a great ending: Follow the path that God has laid for you and you’ll end up so guilt-ridden that you’ll kill yourself. Though perhaps that explains why suicide rates are higher in Christian than Muslim countries. Still, not something you here being preached every day. Acts has a different story. Here, Judas buys a field, and falls over in it, causing his entire body to explode with bowels gushing everywhere (Acts 1:18). It’s difficult to imagine that this is intended to have happened by natural means, so it seems that God is directly punishing Judas on Earth for something that God had planned for Judas to do. How rewarding. The non-canonical Gospel of Judas describes Judas being stoned to death by the other disciples. That’s Peter stoning to death Judas for following God’s pre-determined path. How does that sit with the Catholic church? Barnabas reckons that, by some miracle, Judas was crucified instead of Jesus. Not friendly treatment. And, lastly, Papias preached that Judas swelled up to quite an extraordinary size, until he was crushed by a chariot which was so huge it couldn’t get past him. That sounds worse than crucifixion. Again, apparently divine punishment for following a divine path. Whichever one you choose, it represents a sticky end for Judas which seems entirely unjustifiable given that he was doing things which were pre-determined. So the treatment of Judas is my Big Fat Theological Question of the Day: Why is Judas punished in the most horrendous way for following the will of God? To my non-religious mind, that seems like a big ‘plot hole’ in the Biblical story. This 1,429th post was filed under: Headliner, Andrew Lloyd Webber, Captain Scarlet, Christianity, Jesus Christ Superstar, Love Never Dies, Religion, Wicked. Comment posted at 00:03 on 6th April 2011. As I’m a Christian I’ll have a go at this,sj, although I wish I’d paid more attention in philosophy when they were talking about causality..
Secondly, with regard to what happened next. The non canonical gospels, like the Gospel of Judas or Thomas (or Pontius Pilate) have been left out of the biblical canon for a reason.They are either incomplete (only covering one section of Jesus’ life) or little more than sayings (like the gospel of Thomas) or their authorship is doubtful (like the gospel of Pontius Pilate). I’m not familiar with the Gospel of Judas but I’ve read a few of the other non canonical gospels and I think you can safely discount it. The gospels that were picked, were chosen because they had a constant narrative, were in Greek, Latin and Aramaic (which meant that they were used by all Christian communities of the time) and had a similar outlook, with stories overlapping. That leaves two versions of Judas’ death; either he fell or he killed himself. We tend to go for the version where he killed himself, because the Acts version is a kind of standard ‘borrowed’ ending for a baddie in the Old Testament. The suicide rings true, esp when you consider that Judas was a zealot and was probably trying to provoke Jesus into declaring war on the Romans. The last thing he would have expected was for Jesus to go without a fight and allow himself to be crucified. So what of Judas’ death? Could he be forgiven? The answer is yes; Judas could be, would have been forgiven by God. But the problem here is that Judas couldn’t forgive himself and placed himself out of reach. It’s like the situations you find in life where someone might blame themselves for something that happened and never let go of it, never stop punishing themselves for it. They cut themselves off from their family and friends because they cannot allow themselves to move on. Judas’ despair is a version of that. It’s very sad and unsatisfactory to think that he couldn’t forgive himself, but if free will is to mean anything, it’s got to include that choice. That is why we view despair with the same horror as pride; both cut people off from others and from life. I hope Judas made it to heaven some way. In the end, we tend to leave such matters to God. Hope that helps sj. Can I emphasise that I’m not proselytising here; it’s just that you asked a very important question about my faith and I felt it deserved a reply. Comment posted at 22:55 on 6th April 2011. Thanks so much for your reply, and for taking the time to write it. I’m afraid I still don’t get it. It’s the prophecy vs predetermination thing, I think. If Jesus foresaw that Judas would betray him, then why recruit him as a disciple? Presumably because the betrayal was the means to the end of the Crucifixion and resurrection. Surely benevolence would have resulted in not recruiting Judas in the first place, leading him not into temptation so to speak. But if that was done, then the prophecies wouldn’t come true. Judas’s betrayal is the catalyst that allows for the Crucifixion, the Resurrection, and everything thereafter – yet he’s never forgiven in the Biblical text, despite confessing his sins. That just strikes me as bizarre. I appreciate your point about him putting himself out of reach, but why could this not be addressed? Why could Jesus not have forgiven Judas at the crucial moment in Gethsemone, and prevented Judas’s unfortunate end? I appreciate that my knowledge and understanding of theology is sketchy at best. Clearly, your faith and greater knowledge allow you to see an answer in here. And I realise that, to some degree, I’m repeating my points rather than furthering my argument! But, for me, the treatment of Judas just seems like moral fallacy, and I can’t quite get past it! Comment posted at 01:13 on 11th April 2011. Hi sj, thanks for replying. I knew I was going to get into deep water with this one. I’m not sure if I’m going to be repeating myself here as well, but I’ll try and extend this a bit. You ask why Jesus recruited Judas when he knew that he was going to betray him and speculate that it was because Judas’ betrayal was essential to Jesus’ death and resurrection and without Judas it wouldn’t have happened. Actually it would have happened without Judas. It simply would have been someone else, but it would have happened, because betrayal of Christ is in our nature. The crucifixion wasn’t just a one off event in a chain of events; it was a direct product of something poisonous in us that always reacts in that way to the presence of goodness. Think of people like Romero and Martin Luther King and what happened to them and you’ll get the idea. Jesus was trying to draw that poison; that no matter how ugly and murderous we got, he would neutralise it and turn it into good. Ultimately the crucifixion was the offer of redemption to the devil if he would take it, but that’s another topic. God calls us to holiness, but we choose whether or not to answer, not God. He cannot steer our destiny unless we specifically request him to. That is what prayer is about. It’s not that God wants to make us beg; it’s rather that he cannot act in us unless he is invited to. That is also why he permits evil in the world, because if God zapped us every time we did something wrong, well there wouldn’t be many of us left and we would be slaves. We would be acting in a certain fashion, not because we wanted to, but because we were afraid of being struck down. It’s like the difference between the motorist who slows down on a road because he sees a school ahead and a motorist who slows down because he sees a speed camera. One motorist has made a free choice; the other has acted out of fear. So to the second question; why didn’t Jesus leave him alone? Why did he call Judas? Because if Jesus took that attitude with us all, none of us would be able to follow him. If you took it to its conclusion, then none of us should be born at all because all of us have the potential for betrayal in us and we all mess up at some point. Look at the disciples; Peter, who denied Jesus; James and John who were ambitious and wanted to sit in the best seats in Heaven; Thomas who wouldn’t believe that Jesus had risen. And of course, they all ran away when Jesus got arrested. And they were the people who were the closest to Jesus and spent three years in his company, Judas included. But the important thing is that we can turn back. And no matter what we’ve done, we can be forgiven. After a while, you do learn that it’s not the mess up that’s important; it’s the guts to admit it, pick yourself up and start again. We have a guarantee of forgiveness, but it takes humility and wisdom to admit that you need it in the first place. I could say more sj, but I don’t want to impose. Can I suggest that you read the book of Jonah to understand what the role of prophets and prophecy is about? It’s short and it’s funny and it’s a warning to all prophets of doom, not to take too much pleasure in their business. But it’s also an illustration that we can and do choose our destiny. And thanks for the chance to discuss this. It’s been timely for me; I’m at something of a crossroads in my life just now and it’s made me examine my motives for each choice that I could make. It’s not been comfortable, but it’s been valuable. I hope you find this valuable as well. Comment posted at 22:03 on 11th April 2011. Thanks again for your reply! I’m really glad that you’ve found the discussion useful. I’ll follow up on the reading you’ve suggested, but I suspect the heart of the matter is faith, and my lack of it makes me view the Biblical story in something of a different light.